The Australian World Orchestra will perform at the very end of July in Sydney (two concerts) and Melbourne (one). If you are into orchestral music, this is a thrilling orchestra made up of Australian musicians come home from around the world and around the country. 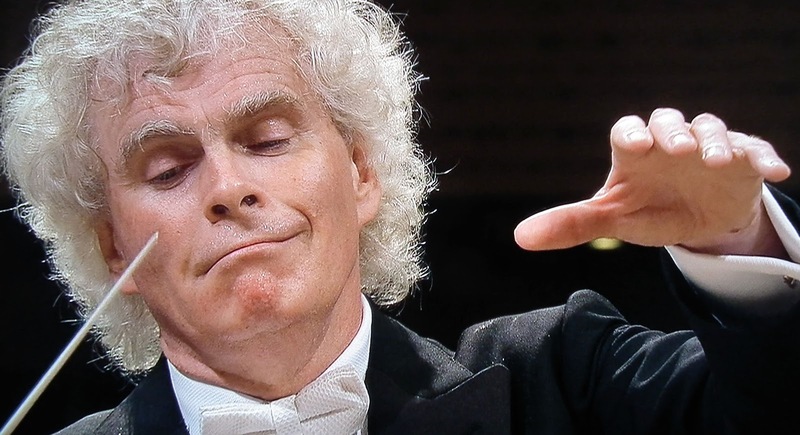 It will be conducted by Simon Rattle, himself a thrill. (He has just resigned as Chief Conductor of the Berlin Philharmonic. Is it possible to get higher up the pecking order than by resigning as its Chief Conductor?!) Tickets are expensive but Jig’s would not miss it. It will sell out so don’t wait too long. Listen to its CD of The Rite of Spring and Mahler’s First under Zubin Mehta. Then you will be in no doubt. At its 2013 concerts, the Australian World Orchestra gave stunning performances of Stravinsky’s Rite of Spring. On the strength of its performance, Arts Minister George Brandis has given the orchestra $600,000 to tour India. 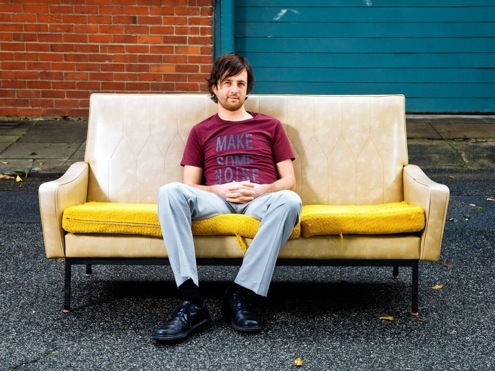 At the same time, he has cut the funds available to the individuals and groups that are responsible for most Australian musical composition and other artistic innovation. If he had been present at the first performance of The Rite of Spring a century ago, would the Minister have been there as one of those who funded its composition and production? – or one of the audience members who booed, shouted abuse, left the theatre? In Morocco, musicians are fighting back against extremism. 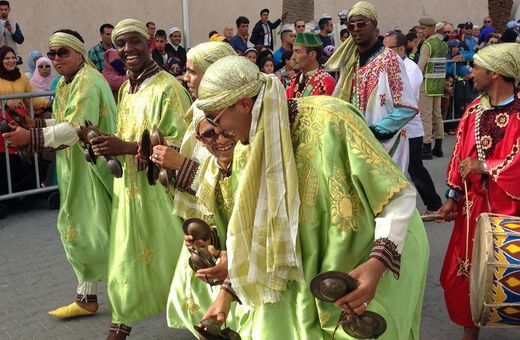 Symbolic is the Gnawa Festival, which each year attracts 250,000 people to the Atlantic port of Essaouira. There are processions including groups of seven or more musicians, dressed in vividly coloured robes. They are followed by concerts that can go on until 3am. The traditional music used to be thought of as the music of slaves but now the festival has elevated music’s status and a good number of people earn their living as musicians, something that previously was impossible. The festival has brought tourists and money from which the whole town has benefited. New Musicals Australia was established to support the discovery and production – and therefore the encouragement – of new Australian musicals. It has a partnership with the Hayes Theatre, a small theatre in Kings Cross devoted to the presentation of musicals and cabaret. Writing teams submit their ideas to New Musicals Australia and those chosen move through a four-phase process in which choices are made and numbers reduced. Two writing teams have just been chosen for phase 3, a five-day workshop. They are Ian Ferrington and Olga Solar with their show, The Detective’s Handbook, and Nicholas Christo and Johannes Luebbers with MELBA about you know who. (Melba has already taken six years to get to this point.) After testing in this workshop, one of the two will be chosen for full production. Jazz pianist Barney McAll has built a successful career over the last 17 years in New York. Now he is back in Sydney for a year to take up the residency in Australian composer Peggy Glanville-Hicks’ house in Paddington. (Peggy also spent much of her life in New York.) Among his other activities, McCall has been playing gospel music in Queens, across the East River from Manhattan, and he will write gospel-influenced solo piano pieces for performance at the 2016 Kinetic Jazz Festival in Sydney. 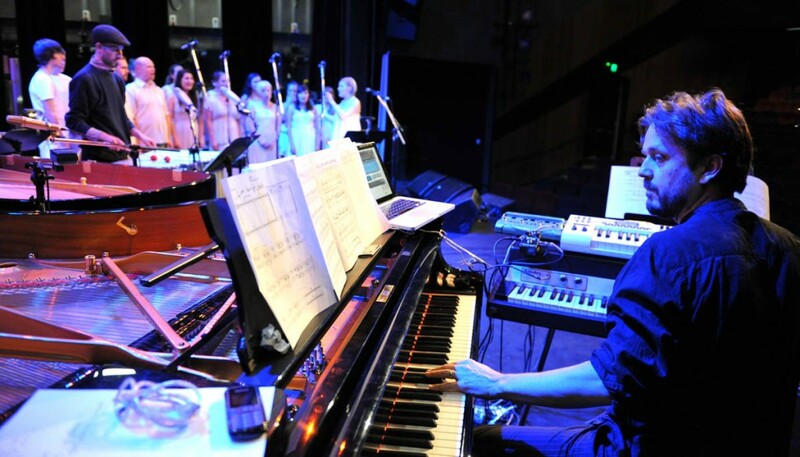 McAll has a strong identification with Melbourne and he will write works for performance by Eugene Ughetti (a former Freedman Classical Fellow) and his Speak percussion ensemble plus two pianos – McAll and Mike Nock. We guess we also will be hearing Barney around the traps and that will be good for everyone.